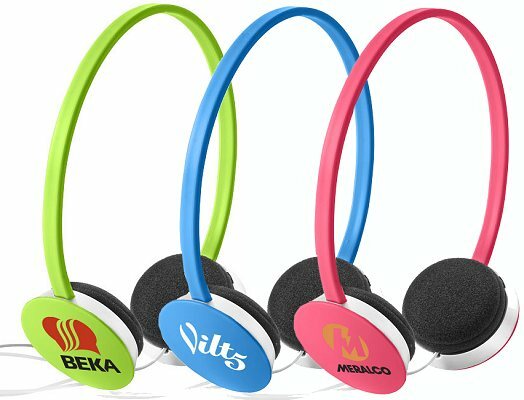 Branded Headphones UK supplied logo branded gifts. Fun coloured on-ear headphones. Can be used on smartphones, tablets and all music players with a 3.5mm audio jack.